Of course Donald Trump tweeted about Tom Brady. He’s been doing it since 2012. 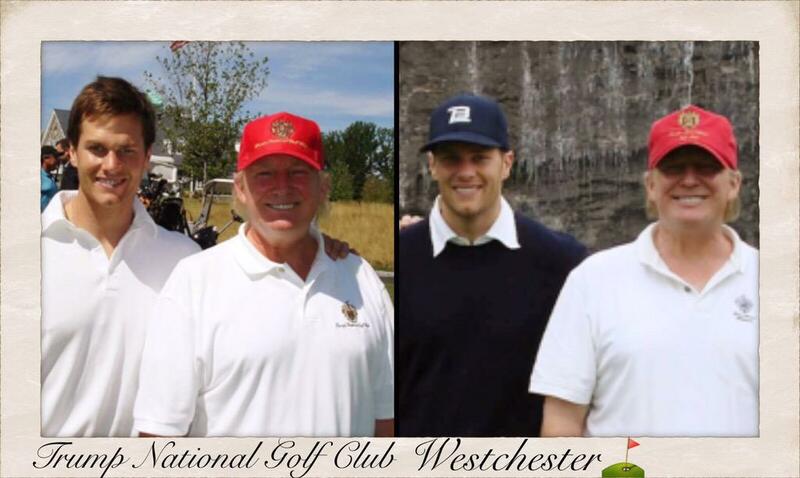 Does Donald Trump have a man crush on Tom Brady? Trump loves to tweet about Brady, calling him a “friend” and “total winner.” In fact, there might be no one Trump praises as consistently on Twitter. The tweet led us to wonder: How much has Trump weighed in on “Deflategate” and Brady’s career in general? The answer is: a lot. To Tom Brady @patriots and Gisele--Best wishes on the birth of your daughter. Tom is a great player and great friend. Why do we always try to destroy our true champions and winners in this country, while at the same time leaving the losers alone? STUPID! A day later, Trump retweeted a message about Brady visiting him at the White House in the future. He had not yet announced his campaign. Foreshadowing? "@therealtommydel Trump for President! Tom Brady as running mate?" I hope Tom Brady sues the hell out of the @nfl for incompetence & defamation. They will drop the case against him--and he will win. "@therealtommydel:1 & only POTUS candidate 2 support Tom Brady deserves the White House. Clear judgment & common sense for USA ! #FreeBrady"
... while Tom Brady is guilty because he REPLACED his LEGAL cellphone?